Latest ECO features: Costs under £7.00 per year in electricity to run! We have had feedback from upper management of the company and restaurant guests of the heightened clean smell and sanitation. The Sterillo Uno washroom odour-controller is perfect for any environment where nasty odours need controlling. Perfect for pubs, restaurants, hotels or in fact anywhere with high or low volume washroom or changing room use Sanitization is needed. 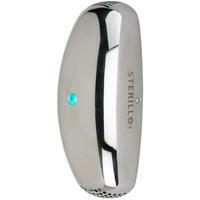 Using exclusive room sanitising technology, the Sterillo Uno silently remove nasty smells and malodours. Gone are offensive odours, and their causes that fester in the average washroom. You can have a pleasant smelling washroom that's a pleasure to use rather than an experience customers suffer through. 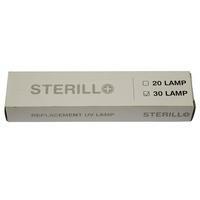 In laboratory tests carried out by PHE* The Sterillo removed over 99% of one of the most common infectious bacteria in the washroom. The full test report is available to download here. The Sterillo concept is truly innovative and unique thanks to patented technology and affords you a clean smelling and fresh washroom. Dorchester Hotel, Park Lane, London said the Sterillo had "made a huge difference to the atmosphere, there are now no unpleasant odours at all." HIX Restaurants said "feedback from both upper management of the company, and restaurant guests of the heightened clean smell and sanitisation." The Kennet Shopping Centre in Newbury said their Sterillos had "definitely helped with reducing the unpleasant odours that are often associated with frequently used public toilets." Here at Handy Dryers we are delighted to say that we are the UK's official retailer of the Sterillo. This fantastic technology is all wrapped in a stylish design in three different high quality finishes: black, stainless steel and white, meaning that not only will the Sterillo improve the smell of the washroom but also provide a stylish and professional addition to your washroom furniture. The Sterillo Uno is available in 4 different sizes: the Sterillo 5, 10, 20 and 30, suitable for washroom sizes of 5M, 10M, 20M and 30M respectively. How does the Sterillo work? 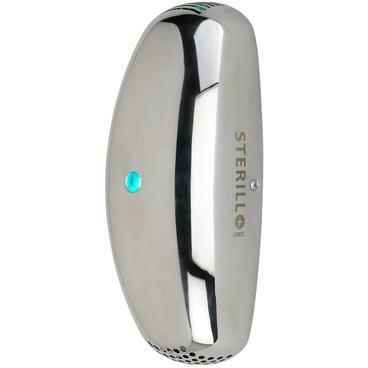 The Sterillo hand dryer uses a long established technologies that can destroy airborne germs, mould and viruses- - therefore removing most washroom odours. Ultraviolet Germicidal Irradiation (UVGI) is a sterilisation method that uses UV light at sufficiently short wavelengths to break down micro-organisms by removing their reproductive capabilities and effectively destroying them.